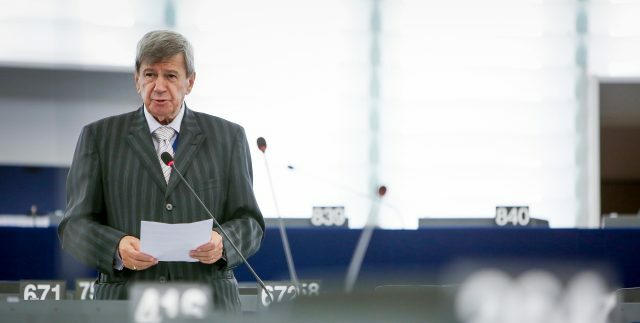 BRUSSELS – The agreement between Belgrade and Pristina will be a task for Federica Mogherinis’s Successor because this European Commission mandate does not have time for it, underlines Chairman of Delegation to the EU-Serbia Stabilisation and Association Parliamentary Committee Eduard Kukan. Kukan criticises the EU for lacking the leadership in conducting Belgrade – Pristina dialogue, reports RTS. 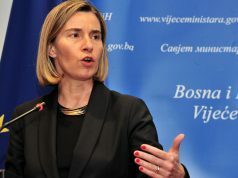 “I apologize to Ms. Mogherini but EU has clearly demonstrated lack of leadership in governing the dialogue. These negotiations could work if you demonstrate strong leadership. EU has to be firm and decisive in the dialogue, needs to be better in predicting the events and reacting on them”, states Kukan. He points out that the dialogue has been blocked for long a period of time without adequate EU reaction on it. The progress is possible only with strong foreign pressure and EU leadership. “A lot of things will depend on the new EU High Representative and how actively will she or he take the role of mediator in the dialogue”, says Kukan. Commenting on the accession process, former Slovakian diplomate states it would be hard to sustain “the moment” for Western Balkans EU’s accession in the next European Parliament mandate due to the fact there would be less honest fighters for WB EU’ accession in the new EP formation. 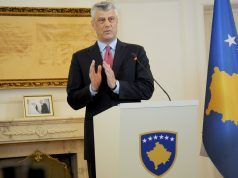 “Without involving Western Balkans, we cannot talk about the EU like one unit. Nevertheless, many of my collegues, here, in EP do not share this view as well as many leading politicians in the Western Balkans. I believe that the accession process has to continue but the role of Western Balkans’ government has to be more active in order to provide better relations with the Parliament, so all the parliament members could prepare and participate in the process”, concludes Kukan.